US 1st pressing (with the 1841 Broadway address on the labels), featuring Robert Ludwig's "hot" mastering on both sides. These were withdrawn early because the high bass levels caused low-grade cartridges to mistrack, leading people to return the album on the belief that it was defective. Another engineer was then hired to recut a much less "hot" version of the album, and that is the far more common version. On some copies the Sterling Sound credit, "SS", appears in both runouts following Ludwig's "RL", and on others the "SS" appears only in the Side Two runout. The "RL" will still appear in both runouts. This sub should only be used for copies with "RL" in both runouts, as only these are the true "RL" pressings which command hundreds of dollars (albeit in Near Mint condition). 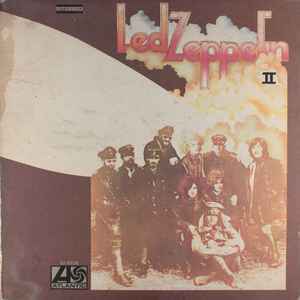 Later transitional pressings which featuring "RL" on only one side and another engineer's work on the other should receive their own subs. "LW" in runouts indicates Longwear Plating metal parts. "W" in runouts indicates that blank lacquers came from the company Audiodisc. My wife found this at a fracking yard sale for $3.00, she gave it to me and I cleaned it with my wet/dry cleaning system. Very little if any surface noise, quiet in between songs!! RL SS on both sides in the dead wax!!!! Holy Fracking Sh!t!! Sounds Amazing! Pride and Joy in my Collection!!! Blow's all my Zeppelin albums out of the water! Plays LOUD!! I Found One on EPAY for $10(needle in a Haystack).!! Label numbers and address match up otherwise and it definitely sounds like a ludwig hot mix.